American physician and pharmacologist who was a co-winner of the 1998 Nobel Prize for Physiology or Medicine for discovering that a gas, nitric oxide, acts as a signalling molecule in the cardiovascular system. This work, performed in the 1980's, uncovered an entirely new mechanism for how blood vessels in the body relax and widen. It led to the development of the anti-impotence drug Viagra and potential new approaches for understanding and treating other diseases. He was a co-worker with Robert F. Furchgott and Louis J. Ignarro. Born 14 Sep 1914; died 19 May 1995 at age 80. Robert Sinclair Dietz was an American geophysicist and oceanographer who set forth a theory (1961) of seafloor spreading (a term he coined), in which new crustal material continually upwells from the Earth's depths along the mid-ocean ridges and spreads outward at a rate of several inches per year. While a student Dietz identified the Kentland structure in Indiana as a meteoric impact site. His professors steered him toward marine geology. He became the founder and director of the Sea Floor Studies Section at the Naval Electronics Laboratory (1946-1963). He also achieved prominence by studying meteorite craters, both on Earth and on the moon and arguing that these impact craters were common. He died of a heart attack. Born 14 Sep 1909; died 29 Aug 1989 at age 79. American educator and physicist who directed development of radar during WW II. His research included the passage of photoelectrons through metals, ionization and the motion of electrons in gases, fluorescence, the theory of the electric arc, and collisions of electrons and atoms. In 1933, President Roosevelt asked him to chair the new Scientific Advisory Board. When the National Defense Research Committee was formed in 1940, he was chief of Division D (detection: radar, fire control, etc.) In 1941, he was in charge of those divisions concerned with radar within the new Office of Scientific Research and Development (OSRD). Afterwards he was cited for personally shortening the duration of the war. He was the first recipient William Procter Prize for Scientific Achievement, and brother of Arthur H. Compton. A Scientist Speaks: Excerpts from Addresses by Karl Taylor Compton, by Karl Taylor Compton. - book suggestion. Born 14 Sep 1883; died 3 Jan 1958 at age 74. Austrian engineer whose work in antenna design, amplification, and detection advanced the development of radio telegraphy. In 1907 he joined the Telefunken Company of Berlin, where he conducted research on radio problems. He improved the design of antennas for transmitting at long wavelengths, devised new vacuum-tube circuits and amplification systems, and developed the heterodyne principle for radio reception. In 1911 Meissner designed the first rotary radio beacon to aid in the navigation of the Zeppelin airships. In 1913 he was the first to amplify high-frequency radio signals by using feedback in a vacuum triode; this principle made it possible to build radio receivers more sensitive than any earlier type. (née Maragret Louisa Higgins) American birth-control champion who founded the first U.S. birth-control clinic in Brooklyn, New York (1916), where she had witnessed firsthand the interaction of poverty, uncontrolled fertility, and deaths from botched abortions, together with high rates of infant and maternal mortality. She became an international leader, and is credited with originating the term "birth control." Born 14 Sep 1804; died 3 Feb 1881 at age 76. Alexander von Humboldt: A Metabiography, by Nicolaas A. Rupke. - book suggestion. Booklist for Alexander von Humboldt. Born 14 Sep 1698; died 16 Jul 1739 at age 40. Died 14 Sep 1960 at age 79 (born 16 Jan 1881). English engineer who was a major figure in developing techniques for manufacturing radar components. During WW I, Fleming made important advances in submarine-detection gear. In 1920, as a pioneer in the development of radio, he established in Manchester the second British transmitting station to broadcast programs on a daily basis. His work on demountable, high-power thermionic tubes made it possible to establish radar stations in Great Britain by the time WW II began in 1939. Died 14 Sep 1926 at age 74 (born 13 Feb 1852). Died 14 Sep 1895 at age 51 (born 18 Sep 1843). Died 14 Sep 1882 (born 1839). Died 14 Sep 1712 at age 87 (born 8 Jun 1625). Died 14 Sep 1638 at age 54 (born 19 Aug 1584). 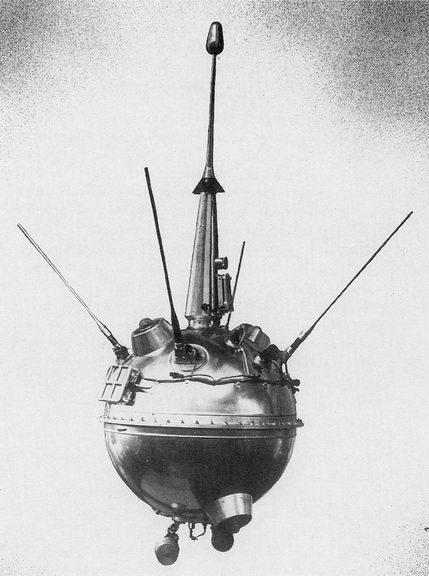 In 1959, the first space probe to strike the moon was the Soviet Luna 2, which crashed east of the Sea of Serenity. Thirty-six hours after its launch on 12 Sep 1959, it was the first man-made object reach a celestial body. In 1956, the first U.S. prefrontal lobotomy surgery was performed. Surgeons J.W. Watts and Walter Freeman operated on a 63-year-old woman at the George Washington University Hospital. In 1905, the oldest car race still run was first held on the Isle of Man, Great Britain for the Royal Automobile Club Tourist Trophy. In 1886, the first U.S. patent for a typewriter ribbon was issued to George Kerr Anderson of Memphis, Tennessee (No. 349,026). His invention was to provide portions near the ends of a ribbon with a colour contrasting from that of the body of the ribbon. This was intended to notify the operator of the machine to manually change the direction of the ribbon feed. Although the typed result near the end of a ribbon would be in a different colour, it was not lost. Before, in uses such as stenographic work, if a ribbon stopped at the end of its reel, the result gave a rapidly fading imprint while there may still be a need to finish a line before stopping to reverse the ribbon. In 1716, Boston Light, the first lighthouse in America was first lighted just before sunset. Located on Little Brewster Island to mark the entrance to Boston, Massachusetts, harbour, has guided ships since then. Building it was authorized 23 Jul 1715 by the Boston Light Bill. In the 1600s, treacherous rocks caused countless loss of lives. False signal fires lit in the wrong places by “wreckers” lured ships aground to plunder. Boston Light was blown up by the British in 1776, but rebuilt in 1783 by Governor John Hancock. The lighthouse is also the last remaining manned station in the U.S.